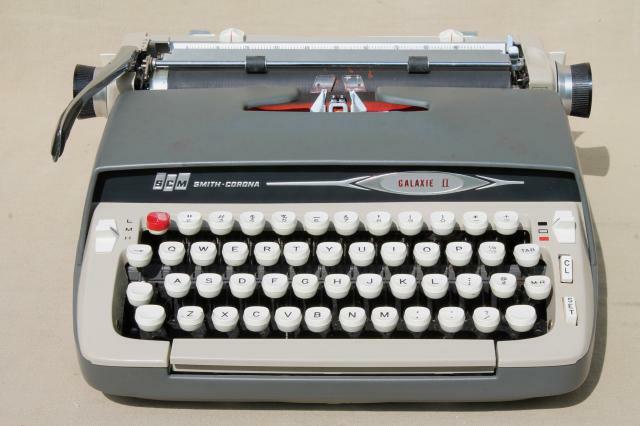 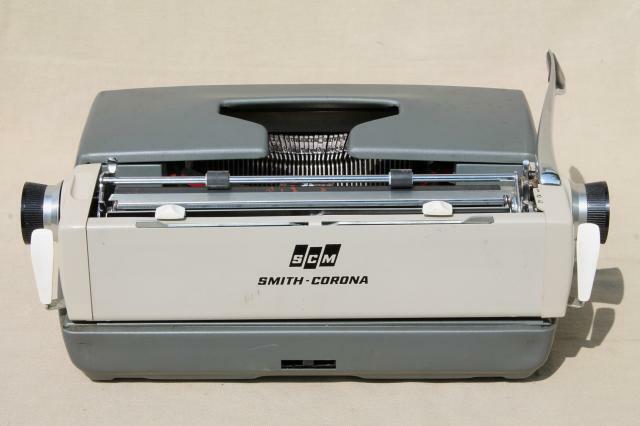 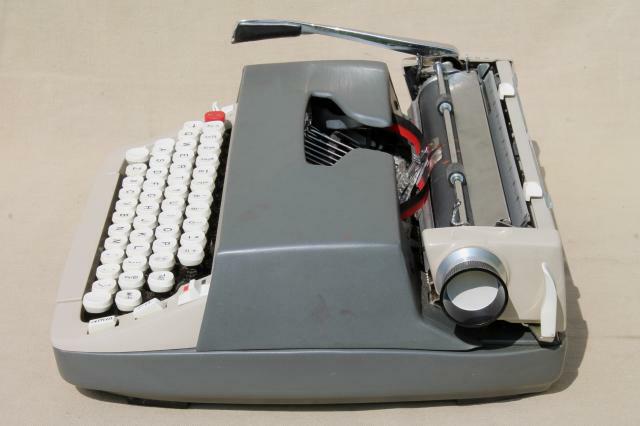 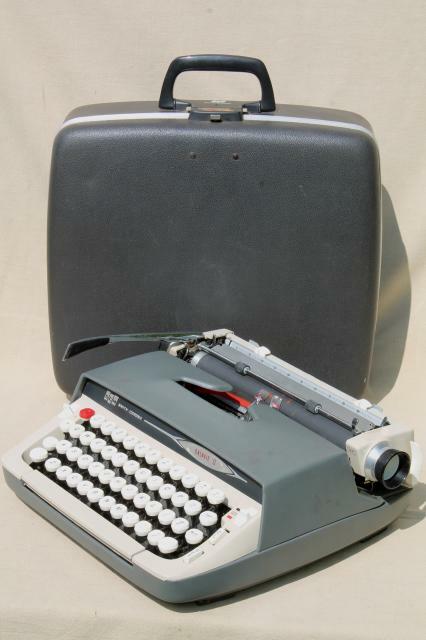 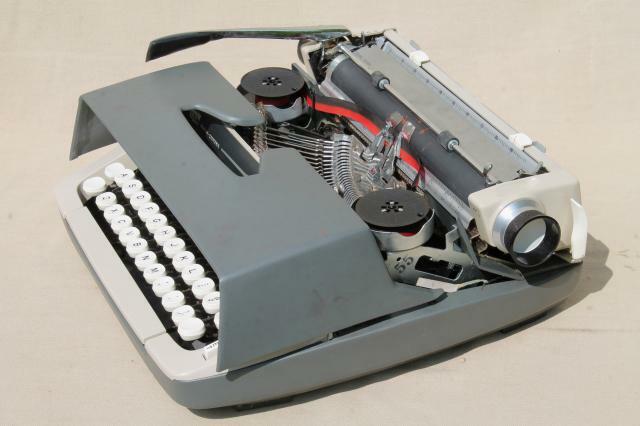 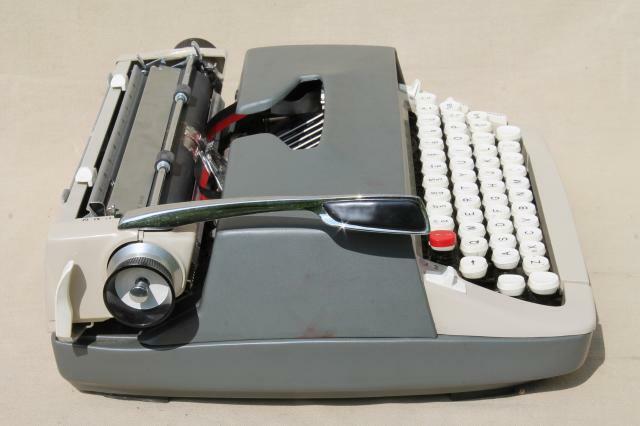 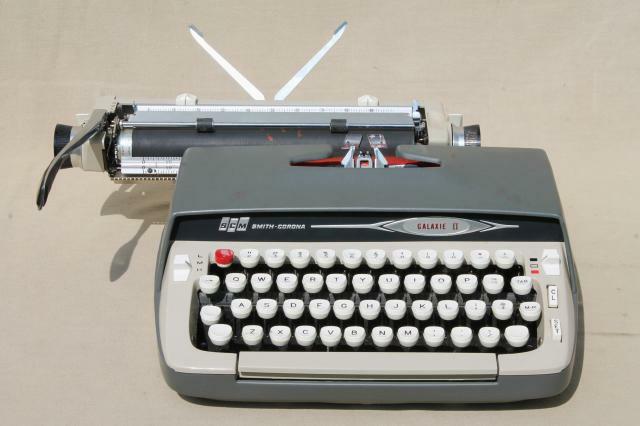 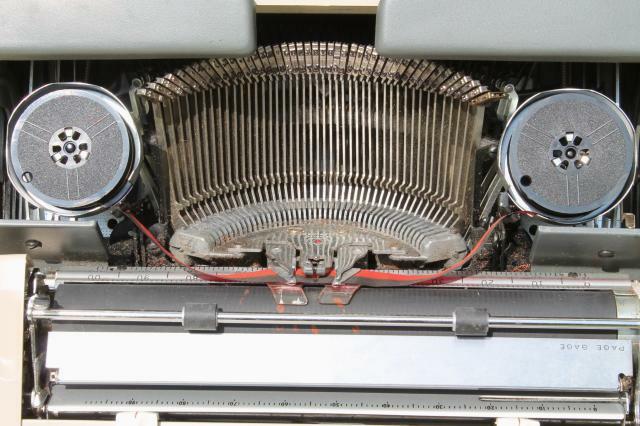 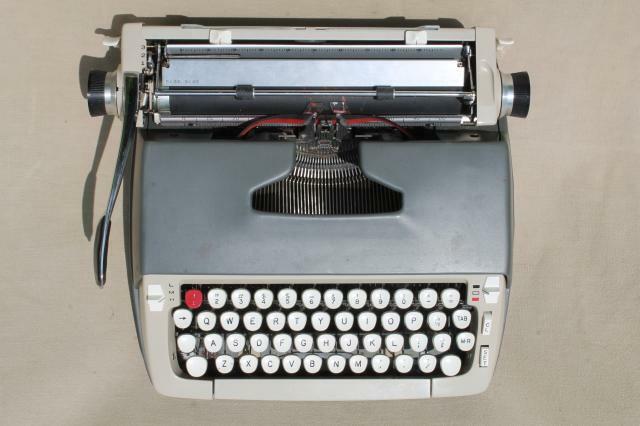 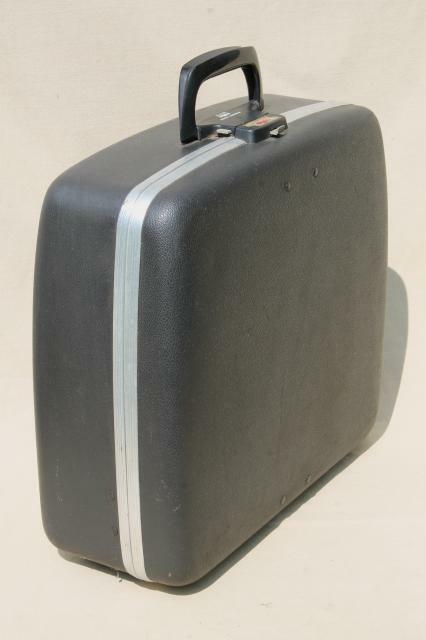 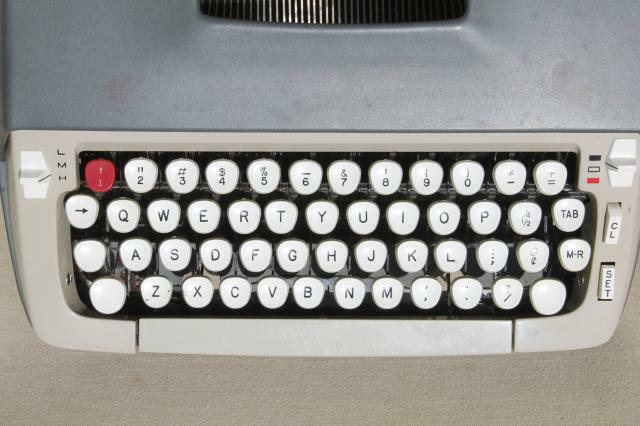 Retro vintage SCM Smith Corona Galaxie II typewriter with a carrying case. 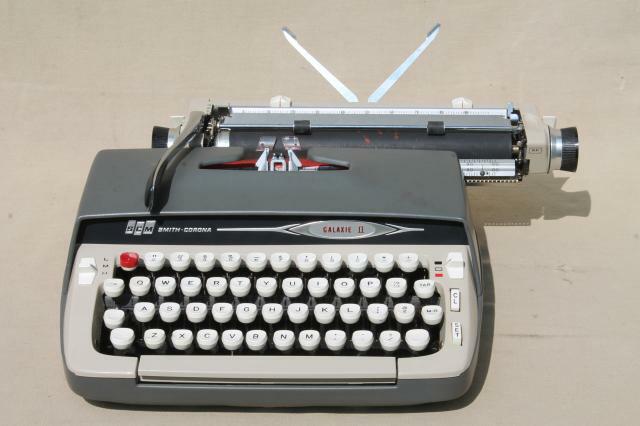 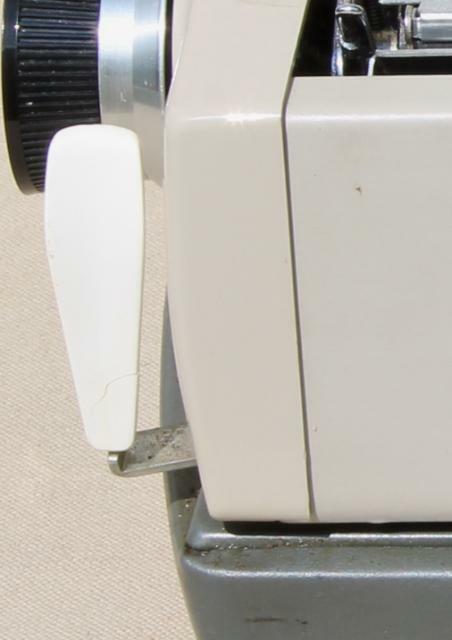 It's quite clean, a nice photo prop. 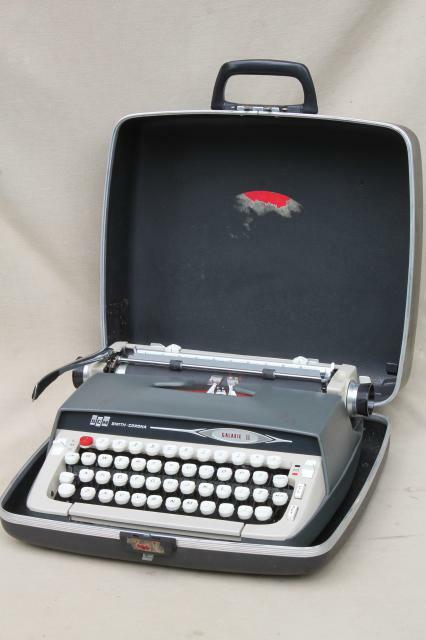 When we tested this, some of the keys were sticking and so we're selling this as not working and there's wear and soil to the case.